We don’t just bake sweets! We make our very own all-natural, grass-fed jerky that contain NO salt and NO chemical preservatives. 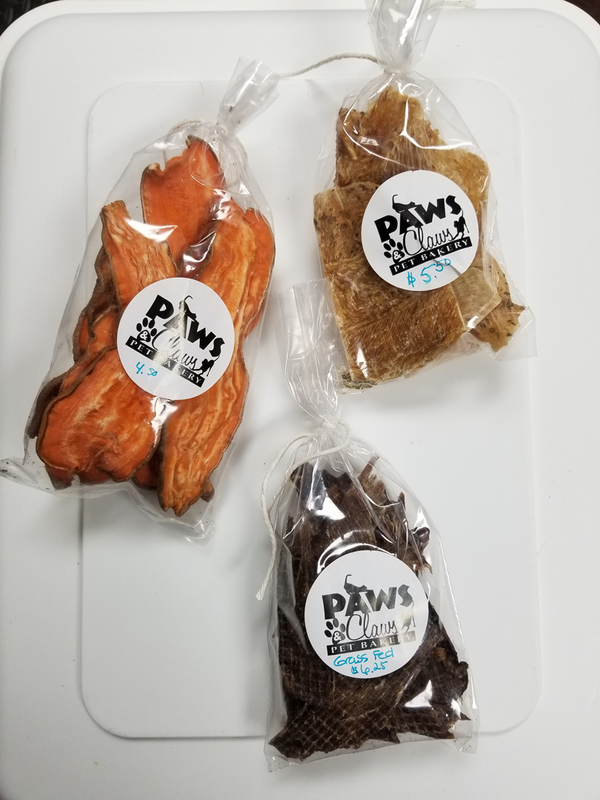 We also make organic sweet paw-tato chews!